With the Umidigi S2, the Chinese manufacturer has almost achieved a usable mobile phone. The smartphone has a good system speed and is even suitable for gaming. The workmanship is at a surprisingly high level and the large 6-inch display also makes an impression. In addition, you get an excellent battery life, with which even power users are easily satisfied. Downer on the otherwise successful smartphone are the somewhat outdated Android 6 system, which still suffers from teething problems in some places, the useless dual-camera and especially the defective SIM slot. If the problems with the Android system and the dual SIM function are resolved, we can make a buy recommendation. So far, however, it is for the time being: wait! You can Buy UMIDIGI S2 From Gearbest at $179.99 Use Coupon Code: 1111GBEU41 For S2 and GEARBEST also offers UMIDIGI S2 Pro at $299.99 in PreSale Flash Sale. Positive: Good price; nice design; good hardware; decent dual camera; long battery life; quick charging. Negative: Poor display. Positive: Good price; nice display; decent cameras. Negative: Poor cameras; outdated software. Umidigi is a Chinese firm that specializes in budget smartphones. The new S2 Pro comes with an impressive list of specifications along with its impressive appearance. It is claimed to be the world’s first 2-day-lasting full-screen smartphone. The back and the edges of the S2 Pro have a great-looking and great-feeling all-metal construction, giving users durability and construction that feels like that of a phone with a much higher price tag. It claims to be the world’s first full-metal bezel-less phone, taking on the first class craftsmanship. 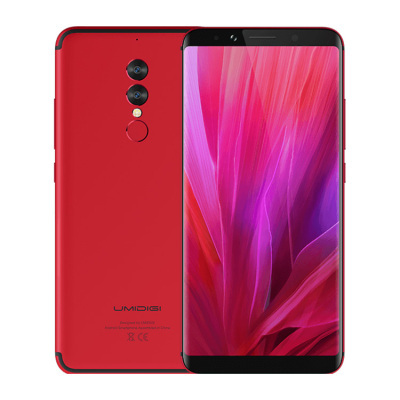 The Umidigi S2 Pro comes in a red version, probably inspired by the Red iPhone 7. 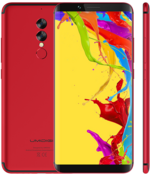 Despite the budget appeal, Umidigi has not skimped on the contents of that large 6-inch display. Unlike other phones with a similar screen size, the display fits in the hand, giving users a large screen experience without the inconvenience of a big phone. While the S2's screen is 6", there is so little bezel (90% screen-to-body ratio) that the phone is about as big as the 5.5" iPhone 7 Plus. In the S2 Pro, users will find a Sharp LCD panel with a resolution of 2,160 x 1,080. That is a perfect 18:9 aspect ratio, something that the LG G6, the Samsung Galaxy S8 and many other flagships offer. All things considered, those are respectable numbers for a device costing the same as a 64GB Moto G5 Plus. The Sharp display is covered in Corning Gorilla Glass, too, to protect it from impacts and scratches. Umidigi has fitted the S2 Pro with MediaTek’s Helio P25 processor, which is a far cry from the Qualcomm Snapdragon 835 featured in most other full-screen flagships. The S2 Pro's octa-core SoC also has a clock speed of 2.6 GHz. Aside from that, users get a whopping 6GB of RAM and an absolutely massive battery, rated at 5,100mAh. Around the back, the similarities to the Galaxy S8 pretty much end, with a set of vertically stacked dual cameras and a fingerprint sensor seemingly placed just where they belong, smack dab in the middle of the chassis. The S2 Pro has a 13MP+5MP Sony rear dual camera and a 5MP front-facing camera. Umidigi says it relies on Sony to provide the image sensors, which is encouraging though hardly a confirmation of the phone’s photography prowess. Inside that beautiful package is the extremely long-lasting battery that will easily get a user through 2 days of typical use. 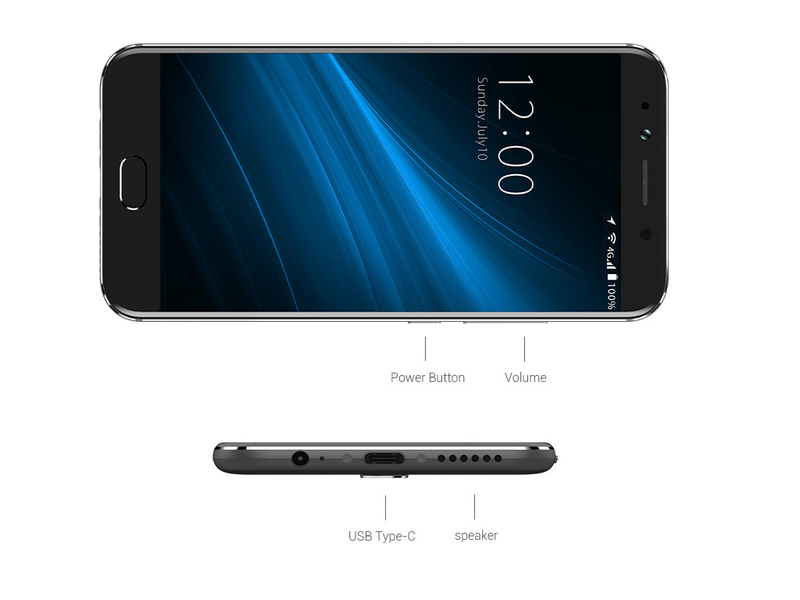 The battery capacity does not come at the cost of bulk, either, as the phone is a trim 8.8mm thick. It charges quickly thanks to Quick-Charge-2.0 technology, which works with all USB-C cables and chargers. As for connectivity, the phone is a dual-SIM model with 4G LTE support, which travelers will love to hear. The S2 Pro from UMIDIGI offers amazing value at just a touch over £200 thanks to its large 18:9 display, huge battery and capacious internal storage. Performance and photography are adequate, making this an excellent budget- to mid-range choice, and worth considering as an alternative to the Moto G6 if you need the extra storage or dual-SIM capability. [Análisis] UMIDIGI S2 Pro, ¡Gran pantalla, almacenamiento y autonomía a un precio imbatible! Positive: Good price; large screen; excellent display; powerful hardware; high autonomy; nice connectivity. Negative: Unsupported waterproof. [Análisis] Umidigi S2 Pro 4G, ¡un móvil sin biseles, con 2 Días de Autonomía! Positive: Large battery capacity; nice display; powerful hardware; support waterproof. Negative: No headphone jack. Positive: Low price; compact size. Negative: Poor display; poor cameras; short battery life. Positive: Good price; nice display; decent hardware; good autonomy. Positive: Low price; nice design; decent cameras. Positive: Beautiful design; solid workmanship; big screen; nice performance; long battery life. Positive: Decent hardware; nice performance; excellent display; good cameras; long battery life. ARM Mali-T880 MP2: Mobile graphics solution for tablets and smartphones, which can be found in ARM SoCs (for mostly Android based devices). The Mali-T880 can be built with 1 to 16 clusters, where the MP2 version features 2 clusters/cores.Only some 3D games with very low demands are playable with these cards. ARM Mali-T860 MP2: Dual-Core version of the Mali-T860 graphics card from ARM for mostly Android based smartphones and tablets. E.g. in the Mediatek Helio P10 clocked at 700 MHz and produced in 28nm.» Further information can be found in our Comparison of Mobile Graphics Cards and the corresponding Benchmark List. Helio P20 MT6757: ARM based octa core SoC (8x ARM Cortex-A53) clocked at up to 2.3 GHz. The chip also includes a Cat.6 LTE modem.Helio P25: ARM based octa core SoC (8x ARM Cortex-A53) clocked at up to 2.6 GHz. The chip also includes a Cat.6 LTE modem. MT6750: ARM-based octa-core SoC (4x Cortex-A53 up to 1.5 GHz + 4x Cortex-A53 up to 1 GHz) with 64-Bit support and integrated LTE Cat. 6 radio. 73.88%: This rating is bad. Most notebooks are better rated. This is not a recommendation for purchase.» Further information can be found in our Notebook Purchase Guide.